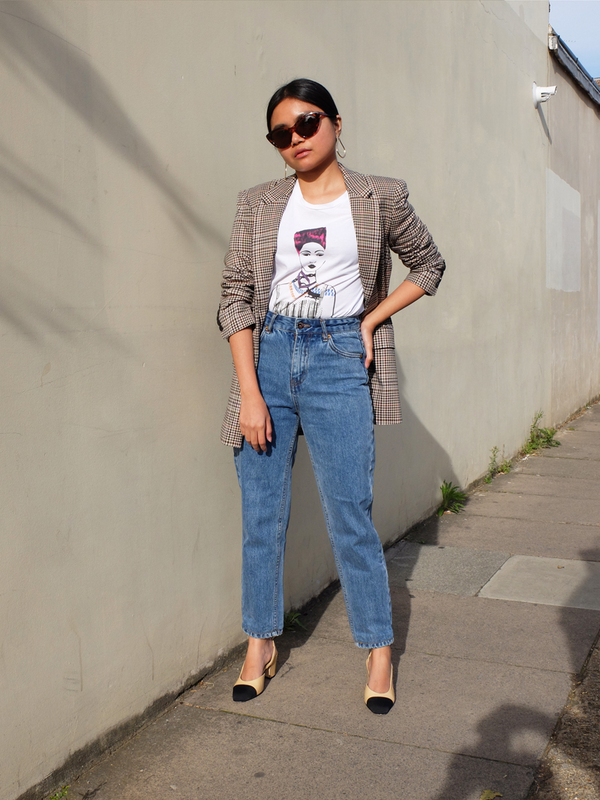 Whilst her Official Royal Engagement wardrobe and red carpet gowns were nothing short of glamourous, her off-duty looks were the ones that deeply inspired me. 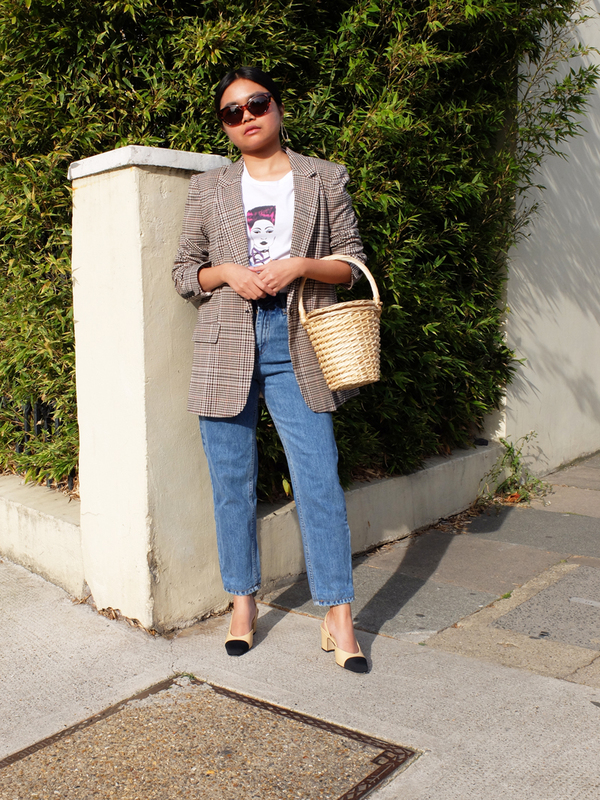 Casual yet chic— her weekend style uniform almost always included an oversized blazer, a knitted top, mom jeans, a top handle bag and a pair of sensible courts. 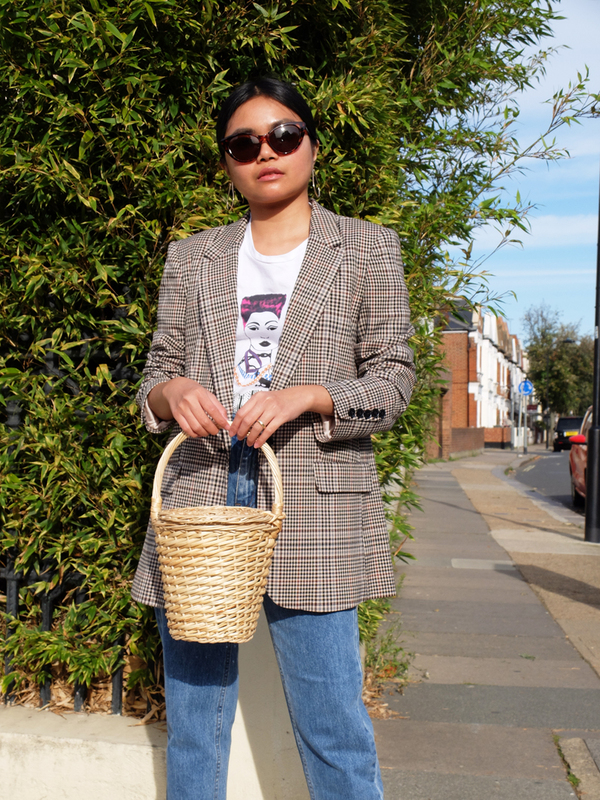 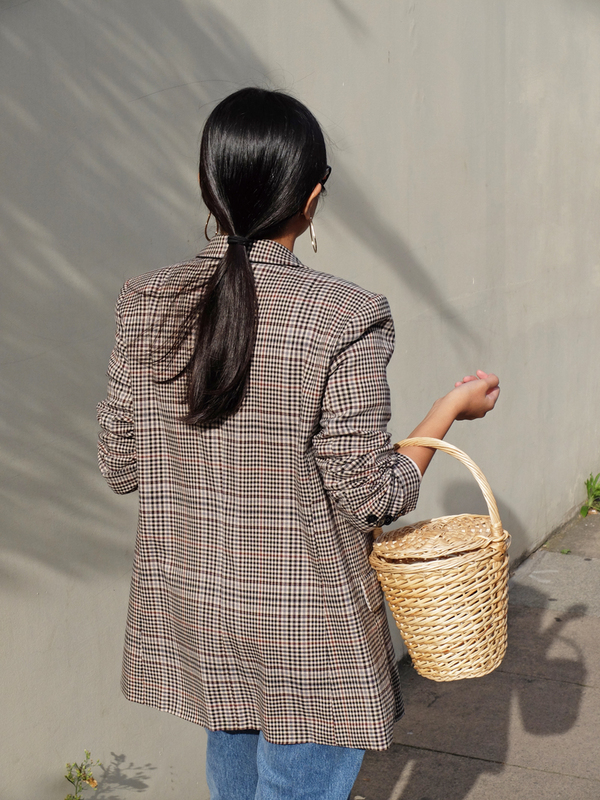 Pulling inspiration from her casual tailored outfit, I recreated Princess Diana's off-duty look by wearing this checked blazer from Reserved and teaming it with my high-waisted straight leg jeans from Pull and Bear. 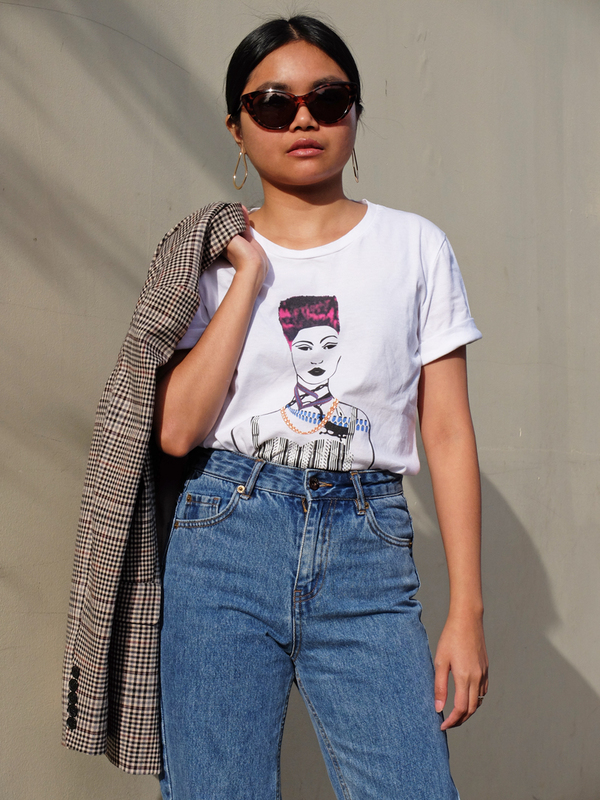 In lieu of a polo neck, I went for this printed tee from OGE Womenswear. 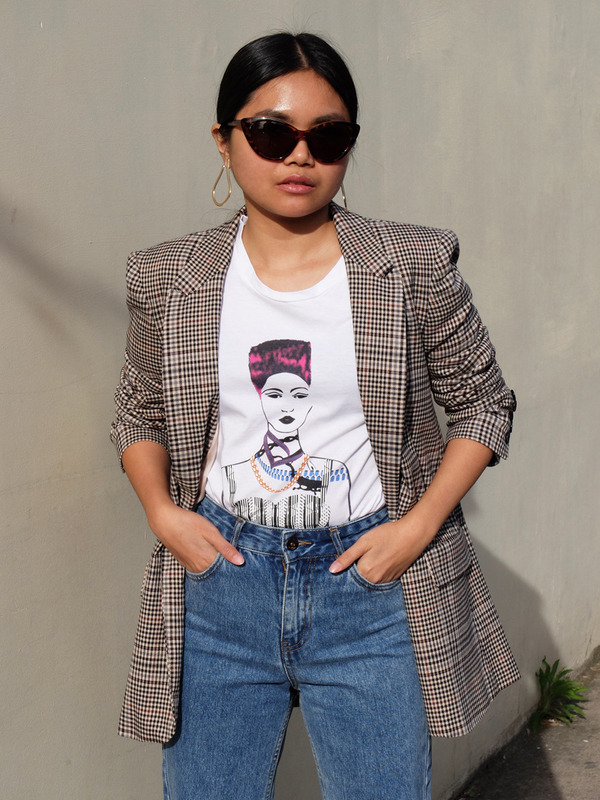 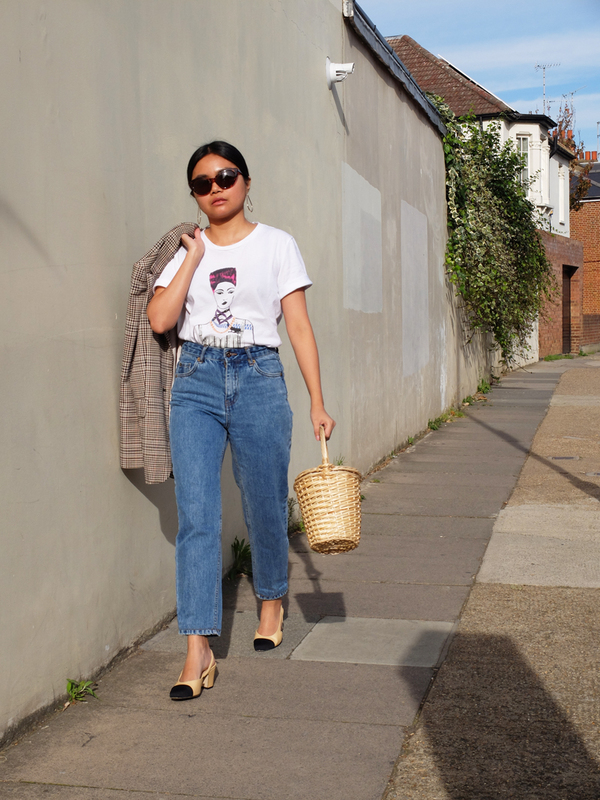 Aptly called the '90s Girl, this shirt is the perfect pairing for denim and looks equally amazing with a pleated skirt and cropped leather jacket. 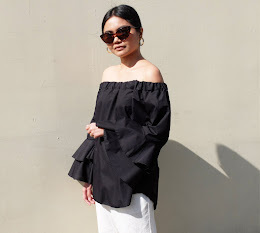 To make the outfit more current, I updated it with the latest accessory trends: a Birkin basket, cat eye sunnies and tear drop earrings.